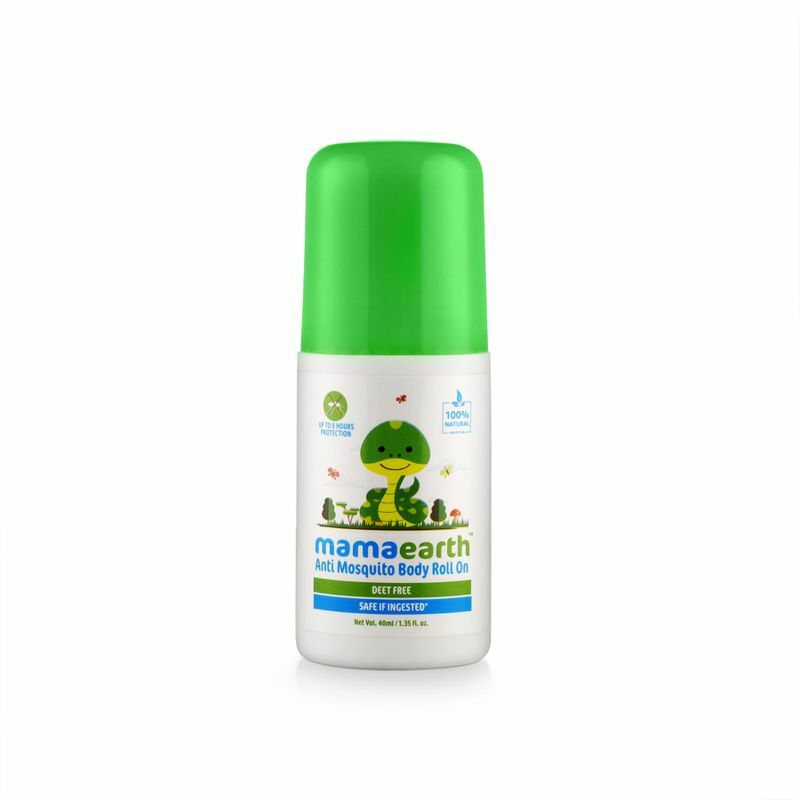 Mamaearth's 100% Natural Anti Mosquito Body Roll On is easy to use and convenient to carry, it repels mosquitoes that may transmit chikungunya, dengue and malaria, for up to 8 hours. With a blend of natural citronella oil, lemongrass oil and lemon oil it is a natural way to keep mosquitoes away. Also, it is Dermatologically tested & does not contain any harmful chemicals like DEET and alcohol, therefore it is safe to be used on a baby's skin. 100% Natural Protection - With a blend of 100% natural active ingredients with no insecticides or DEET, Mamaearth's Anti Mosquito Body Roll On is completely safe and repels mosquitoes for up to 8 hours. Upto 8 hours protection - The DEET free family safe formula protects your family from mosquito bites effectively, indoor and outdoor, for up to 8 hours while not worrying about any toxic ingredients. Protects From Dengue, Malaria & Chikungunya - Protects against mosquito borne diseases like Dengue, Malaria and Chikungunya. 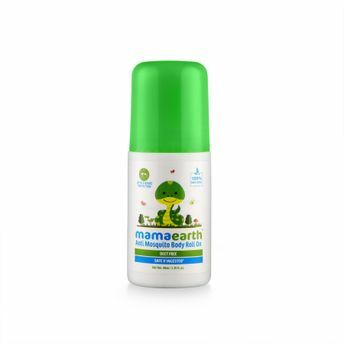 The non toxic Mamaearth's Body Roll On is made out of plant based essential oils like Citronella Oil, Eucalyptus Oil & Lemongrass Oil for their strong mosquito repellent properties. Certified Toxin Free - Asia's first MadeSafe certified brand. Dermatologically tested, our body roll on has the family safe formula as it does not contain any harsh ingredients and toxins like DEET, insecticides, synthetic fragrances & alcohol. It protects everyone in your family, including babies, from mosquito bites.